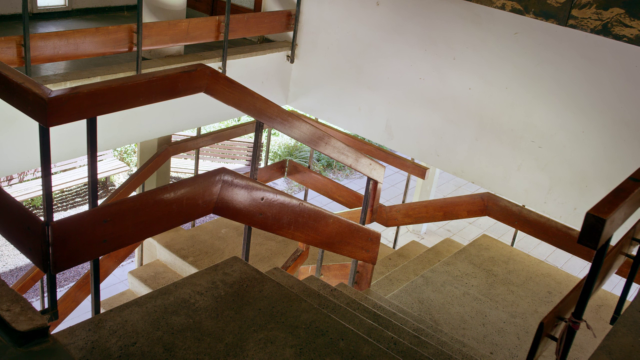 The ‘Casa do Povo’ cultural centre in São Paulo, an icon of the secular Jewish workers’ movement: a crumbling theatre flanked by staircases, entryways and corridors. 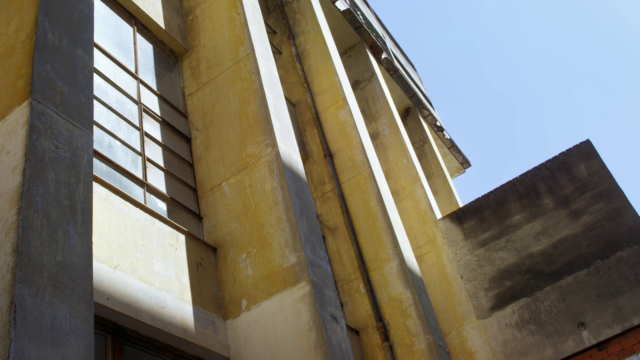 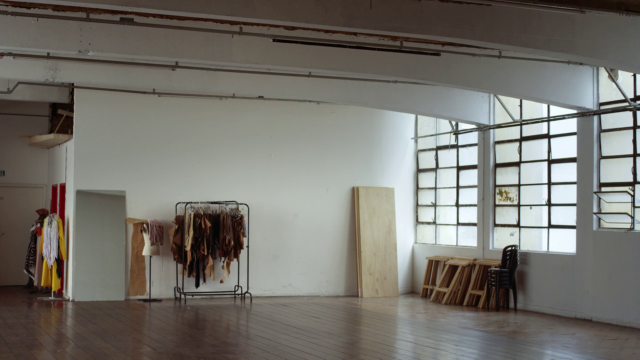 Construction noise drones away in the background, clinking crockery, a broom sweeping over tiled floors, an expressive façade of countless adjustable panes of glass covered by a patina. 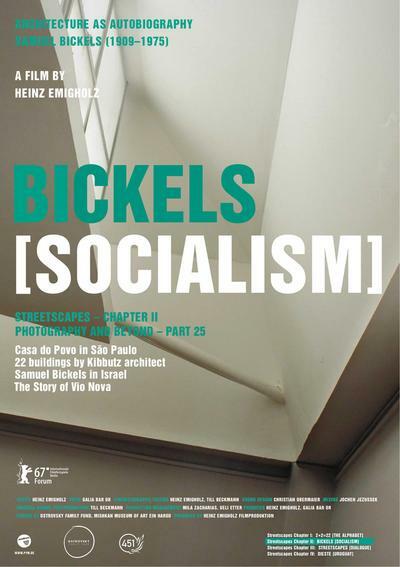 It’s October 2016 and a group of young people are preparing a preview of Bickels [Socialism]. 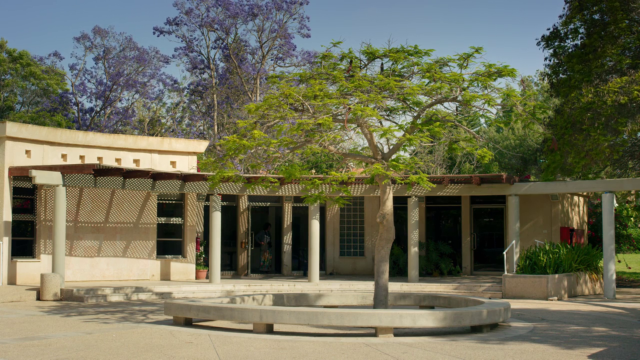 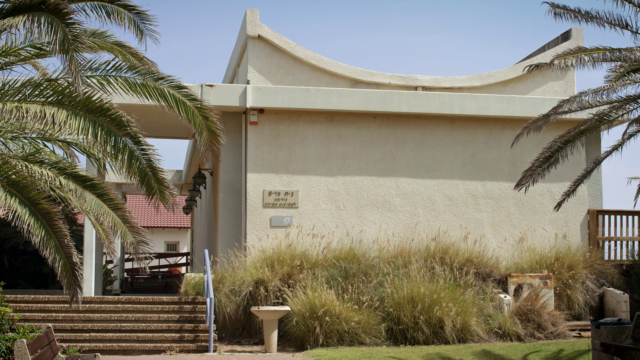 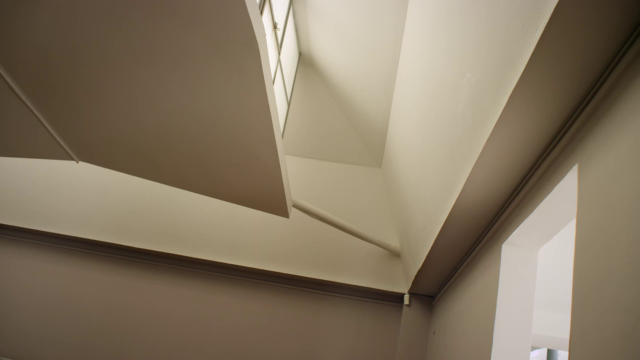 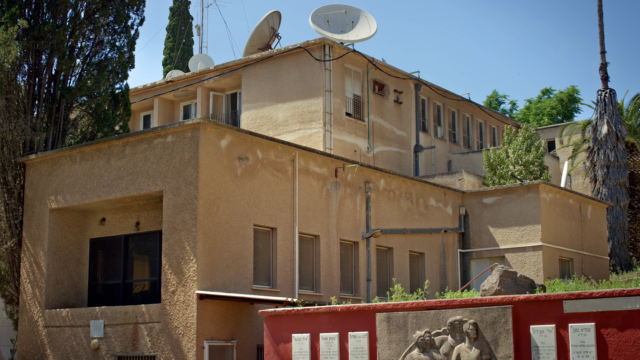 The venue is to form a prologue to the completed film, which tours 22 buildings in Israel designed by Samuel Bickels, most of which for kibbutzim. 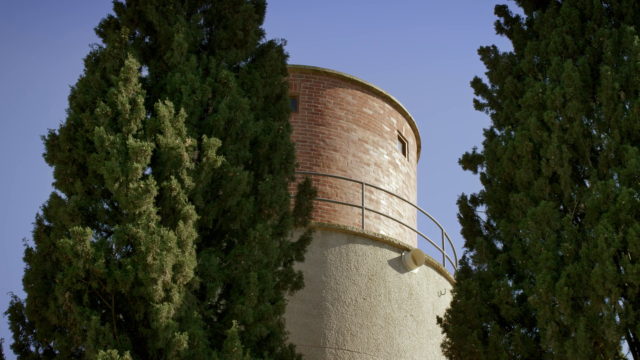 Dining halls, children’s houses, agricultural buildings, bright structures inserted into the Mediterranean landscape with great ingenuity.